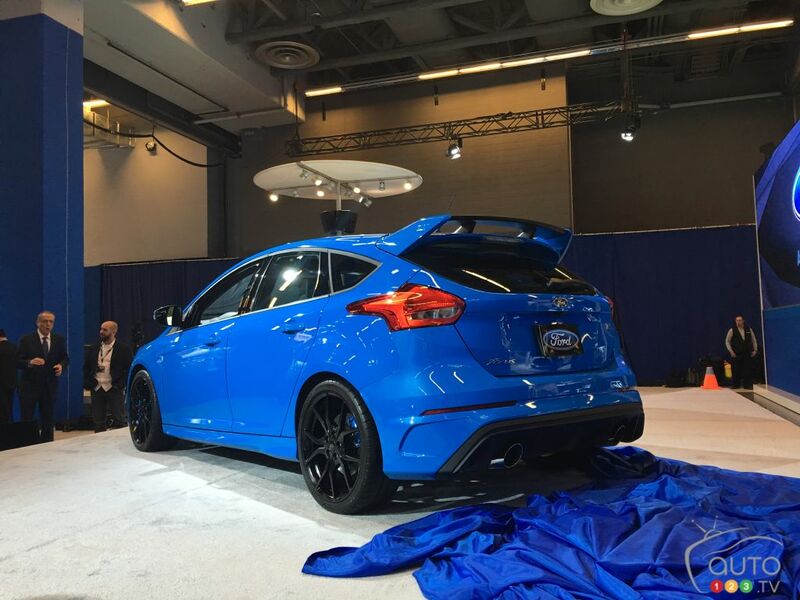 The 2016 Montreal Auto Show marks the Canadian debut of the new 2016 Ford Focus RS, which will go on sale this spring at a base price of $46,969. According to Marc S. Vejgman, Car Product Manager at Ford of Canada, all of the 430 Ford dealers across the country will offer at least one unit. Those located in major cities will obviously have more to sell. Vejgman also said that the entire global production will take place in Germany. Good news: There is no limit to the number of units that can be built. 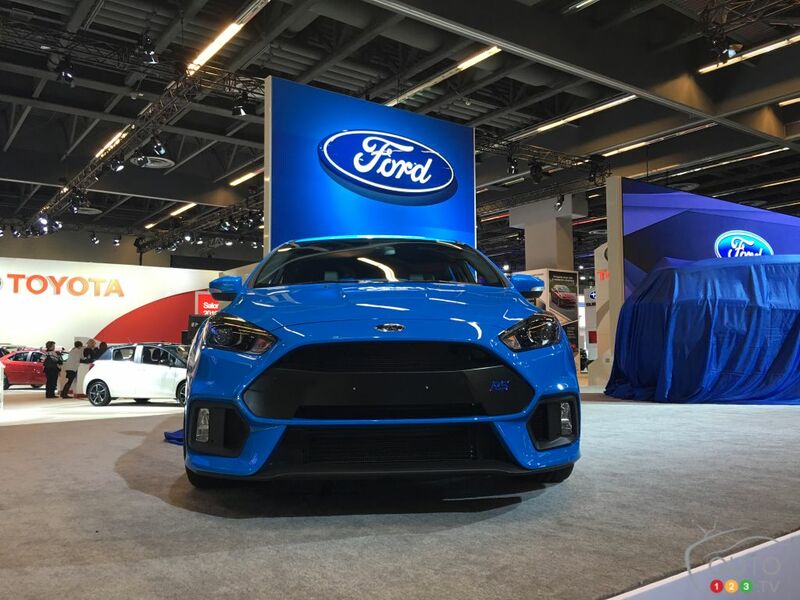 The 2016 Ford Focus RS, the fastest-accelerating RS model yet, uses a 350-horsepower, 2.3L EcoBoost engine derived from the Ford Mustang to sprint from 0-100 km/h in just 4.7 seconds and reach a top speed of 265 km/h on the track. It also generates 350 lb-ft of torque.